I was pleased and surprised to see this short story is set in my city, Melbourne, and to read a Christmas story set in summer rather than winter. Ethan meets Ty when he agrees to head to Chadstone Shopping Centre at the behest of his sister to pick up a last-minute Christmas present. I loved the realistic portrayal of the craziness of the shopping centre, it was spot on. The Chadstone Shopping Centre car park is notorious. O Hell, All Ye Shoppers is a fun story of two guys meeting by chance and hitting it off. Since this is a short story we don't get to see more than their Christmas and I hope the author writes more stories with Ethan and Ty. Maybe an Easter story perhaps or another one next Christmas? 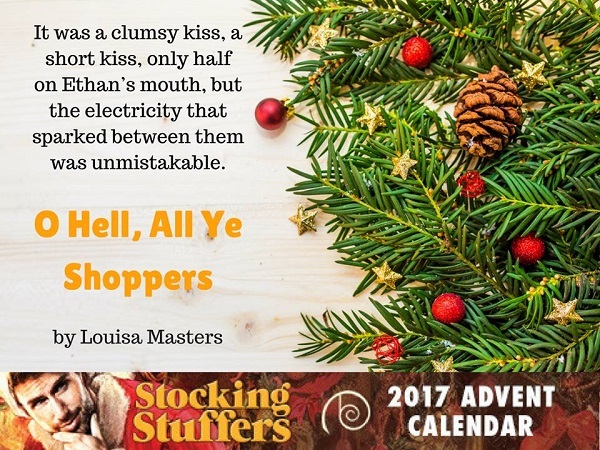 Reviewers on the Wicked Reads Review Team were provided a free copy of Stocking Stuffers: O Hell, All Ye Shoppers by Louisa Masters to read and review.